We have great pleasure in introducing ourselves as a flourishing service provider in IT enabled services emphasized in Internet Solutions, Desk Top Applications, E-Commerce, IT Consultancy, Web Hosting and Web Designing. Promoting your deals through cyberspace is one of the prime concerns of our solutions. With sufficient knowledge on web space management and a high awareness on the changing trends of IT, we are into making a drift in the field. Mitz have talented professionals to work with. Dedicated, punctual, professional, ethical in practice, and they educated me on what I will need is the best part. Always resourceful. I wish them good luck. 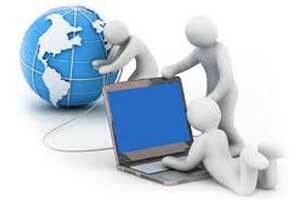 We have formed our company as freelancers in 2005, and now we are into this full-fledged business since 2007. At Mitz, we are striving to understand changing customer needs. We want to make our customers lives easier by simply making technology usable. We are proud to have solid Information Systems Professionals, who with the help of world class tools and equipment, study, design, develop, enhance, customize, implement, maintain and support various aspects of Information Technology. We have the expertise and experience to help you cut costs significantly without impacting product quality or delivery schedules. We listen and get results. By listening to you and your users, we help you create a more effective product that makes users very happy. We are small so we are devoted. We’re a small, flexible team with big company ideas and processes. We take on fewer projects, so our clients get our undivided attention and an all round better level of service. 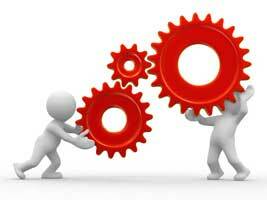 We offer competitive and compelling solutions. We’re aware of the evolving nature of technologies therefore we are kneen in evaluating a customers need with latest and competitive solutions. Project in mind or need some advice.